Without good traffic counts, gas stations can die. 1. Are Gas Stations Good Investments? 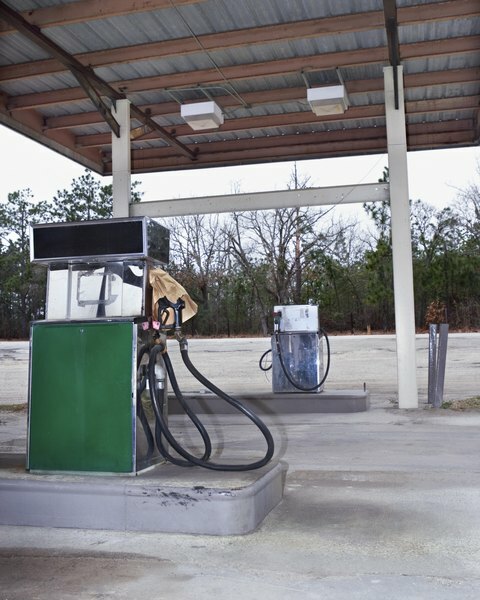 Investing in a gas station doesn't necessarily mean you spend late nights in a small metal box breathing gasoline fumes and nervously watching a security monitor. As long as you hire someone else to do the work for you, a gas station can be like investing in any other business. However, you will want to do your due diligence before purchasing a gas station. Most gas stations aren't really gas stations. They're actually retail stores that have gas pumps out front. Tat's because the profit on fuel is relatively low and can be swallowed up by the transaction fees for credit card transactions. According to small business analysis firm Sageworks, gas sales generate, on average, just a 2.5 percent gross profit margin. As such, barring a special location that allows you to charge a higher-than-usual price per gallon, the key to a profitable operation is to have additional streams of income above and beyond gasoline. Location drives value for gas stations, because they depend on how many cars pass by and stop at them. However, analyzing the current location isn't enough. For a gas station to be viable for the long term, its location needs to stay viable. If major road construction is coming, it could interrupt operations during the construction period, but if a project shifts traffic to a different road, it could eliminate the location's ability to do any business. When you buy a gas station, you're also buying thousands of gallons of dangerous polluting chemicals buried underground where you can't see them. Having both Phase One and Phase Two environmental site assessments done on the site is a good way to ensure that the tanks and systems aren't leaking and haven't leaked in the past. If they have, you could be buying thousands or millions of dollars of liability along with the investment you intend to make. On the other hand, if the station is clean when you buy it, and you have proper insurance, the environmental risks can be managed. Instead of buying an actual gas station, you can also invest in the gas station industry by purchasing a company that operates gas stations. Major oil companies operate gas stations, but their gas station operations are typically a small part of a larger pie. Companies like Alimentation Couche-Tard (Circle K), The Pantry or Casey's General Stores focus on gas station and convenience store operations. Owning stock in one of them lets you participate in their profits or losses without having to actually own a gas station.